There’s some sad news in the wrestling world today because former WWE Tag Team Champion Jim “The Anvil” Neidhart passed away at the age of 63. The news was first reported by former wrestler Brian Blair, who is the President of the Cauliflower Alley Club and a friend of Neidhart. The news was also confirmed by WWE in this post on their website. It’s been reported by TMZ that Neidhart “fell at home, hit his head, and succumbed to his injury” according to the Pasco Sheriff Office in Tampa, Florida. Emergency personnel were called at around 6:30am about Neidhart suffering a seizure and convulsions. No foul play was suspected. Neidhart was best known as one half of the legendary Hart Foundation tag team with Bret Hart. The duo teamed together from the mid-1980s into the early 1990s and had two reigns as WWE Tag Team Champions. Neidhart was the power man in the group that was a former football player. He married one of Bret’s sisters named Ellie and got into the wrestling business where he was a natural fit. Natalya commented on her father’s death on Monday afternoon. 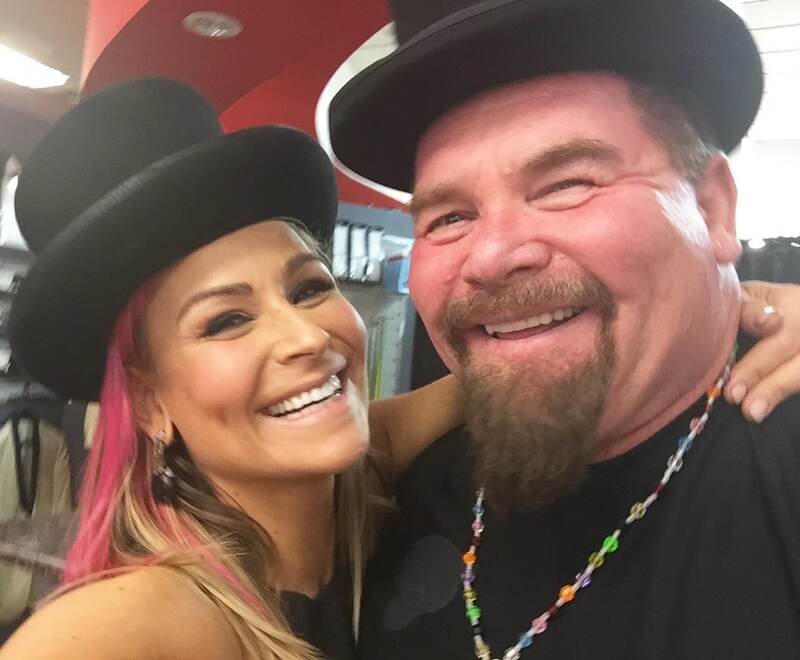 Neidhart is the father of current WWE superstar Natalya and the father in law to TJ Wilson, who wrestled as Tyson Kidd and is now a Producer in WWE. Jim and Ellie have three daughters. I’ve had the pleasure of knowing Nattie and TJ for about ten years now. They are wonderful people. My heart breaks for them because I know how much Nattie loved her father. She talked glowingly about him all the time in private and she also did in public too because he meant so much to her. I thought of this picture when I saw the news and how sad it is knowing the four men standing with Bret are now gone way too soon. Breaks my heart. On behalf of everybody here at TJRWrestling, we send our heartfelt condolences to Jim’s family, friends and fans all around the world. Thank you for all the memories. May you rest in peace. TJR Thoughts: I think one of the underrated aspects of Jim “The Anvil” Neidhart as a wrestler was that he understood how important it was in wrestling to be a character. He had that unique look with the beard and the memorable laugh that we’ll never forget. You have to do things like that to stand out and he did it so well. I think the Hart Foundation worked so well as a team because they were different with Bret as the speed/technician and Anvil as the power guy. They were so successful as heels and then as faces. They are truly one of the best teams ever and left a legacy to be proud of. If you think of the best singles wrestlers, most of them are great at being faces and heels. Same goes for tag teams. The Hart Foundation transitioned easily. I liked them as bad guys, but then I loved them as good guys. SummerSlam 1990 beating Demolition was huge. I only got to meet Jim a few times in person and I was able to get a picture with him and Bret Hart in 2014 at the Wrestlecon event. I was also lucky enough to talk to them for a few minutes and it was so cool just to thank them for entertaining us during their careers. I’ll cherish that memory forever.